Dr. med. 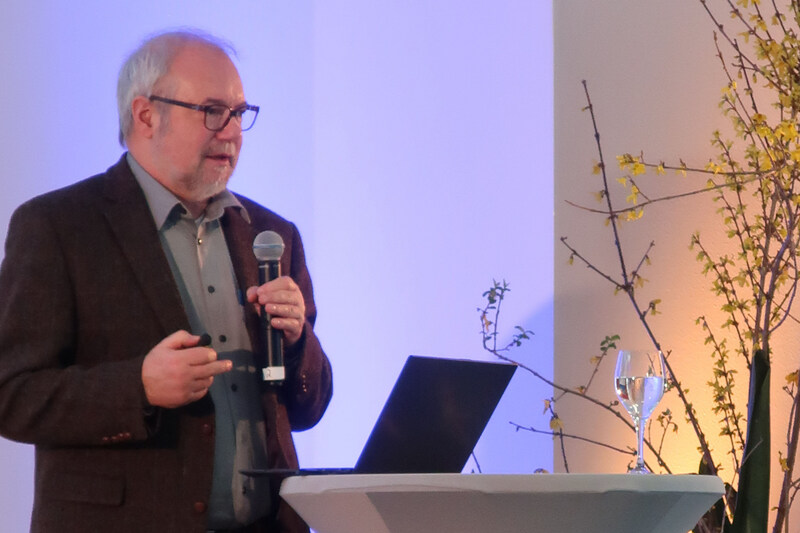 Friedemann Müller from Schön Klinik Bad Aibling demonstrated REACH at the Ambient Medicine Forum held on February 19th-20th 2019 in University of Applied Sciences Kempten, Germany. 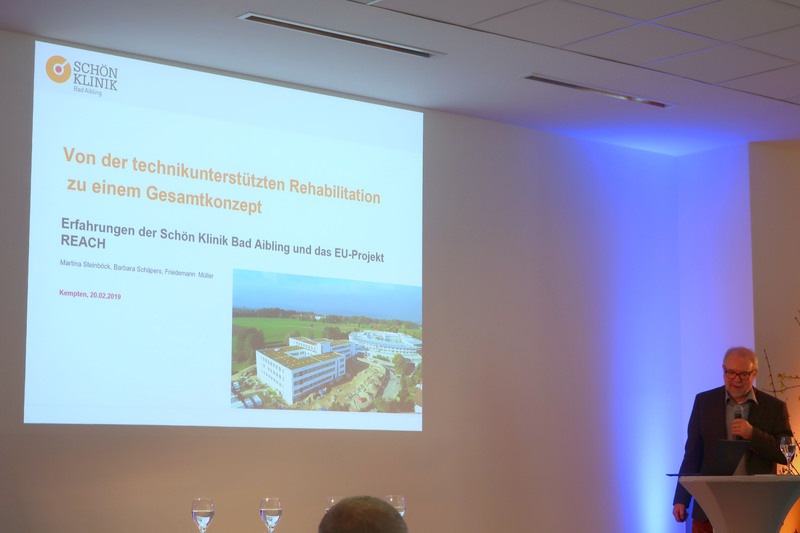 His topic is “From Technology-assisted Rehabilitation to an Overall Concept – Experience of the Schön Klinik Bad Aibling and the EU project REACH”. Prof. Thomas Bock from Technical University of Munich also attended this event. The Ambient Medicine Forum, originally founded by the Heinz Nixdorf Chair of Medical Electronics at the Technical University of Munich (Prof. Dr. B. Wolf), has been running for more than twelve years on current topics in medical electronics and telematic medicine. 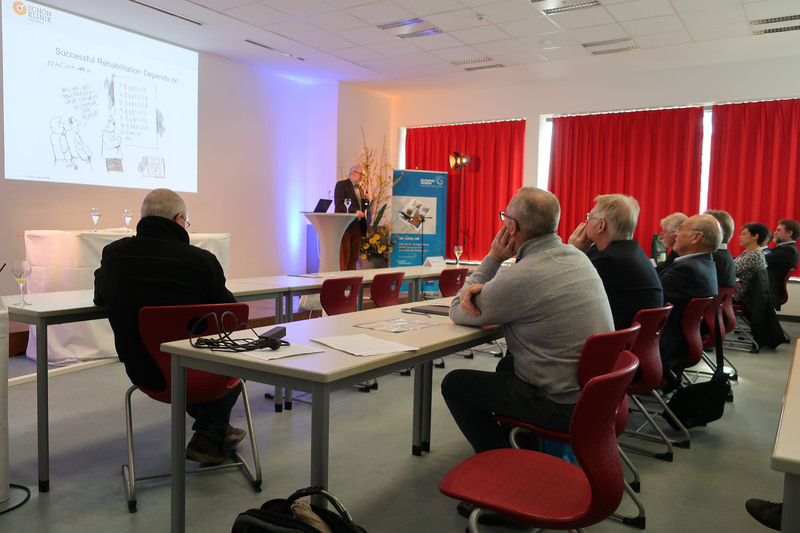 This year’s Forum is organized by the University of Applied Sciences Kempten in cooperation with the International Bodensee University and the Steinbeis Transfer Center for Medical Electronics and Lab on Chip Systems and the Technical University of Munich and other partners. It serves to inform and discuss current research results as well as the exchange of experts, experts, students and the interested public.